Wednesday, February 25 is going to be “Mystery Night” at the Mercantile Library, as Beatrice.com’s reading series for debut novelists hosts two writers who’ve tweaked the classic conventions of the private investigator novel to probe the permeable boundary between reality and imagination. 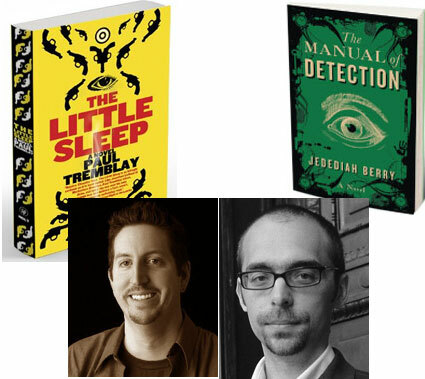 Come join us at the Merc (17 E 47th St.) at 7 p.m. for an excursion into the dreamworlds of Jedediah Berry’s The Manual of Detection and Paul Tremblay’s The Little Sleep. Jedediah Berry was raised in the Hudson Valley region of New York State. His short stories have appeared in numerous journals and anthologies, including Best New American Voices and Best American Fantasy. He lives in Northampton, Massachusetts, and works as assistant editor of Small Beer Press. Paul G. Tremblay is a two-time nominee of the Bram Stoker Award and author of the short speculative fiction collection Compositions for the Young and Old and the hard-boiled/dark fantasy novella City Pier: Above and Below. He served as fiction editor of CHIZINE and as co-editor of Fantasy Magazine, and was also the co-editor of the Fantasy and Bandersnatch anthologies. He lives outside of Boston, Massachusetts. 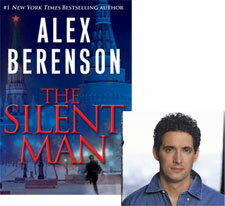 Thriller writer Alex Berenson will also be joining Jedediah and Paul to read from his latest novel, The Silent Man. As a reporter for The New York Times, Alex Berenson has covered the occupation of Iraq, the flooding of New Orleans, and the travails of the pharmaceutical industry, among many other stories. The Silent Man is the third novel in his series starring CIA agent John Wells, which began with the Edgar-winning The Faithful Spy.